With summer now a cherished memory, we are counting the months before we can do a re-shoot of this Minnesota photo taken along the Mississippi River Trail. Get into the zone and plan your next bike outing with family and friends at one of Minnesota’s HaveFunBiking Destinations. View all the fun ideas in the latest Minnesota Bike/Hike Guide. Thanks for viewing our ‘Requested Re-Shoot’ pic of the day! 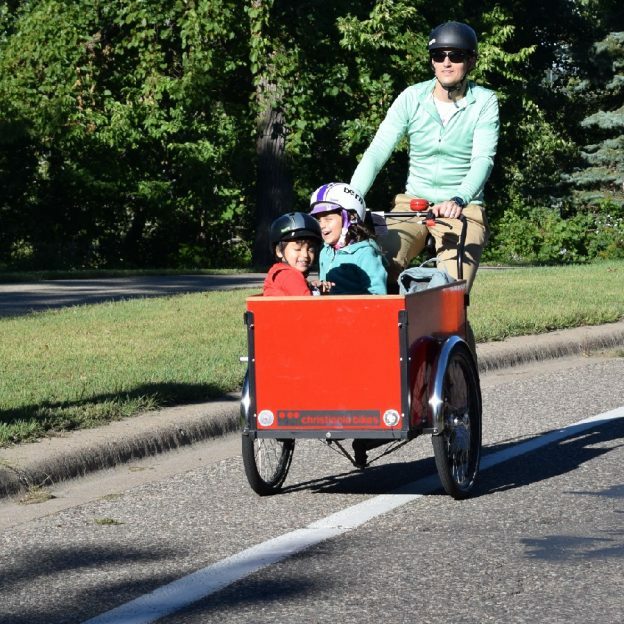 This entry was posted in News and tagged bike, bike with kids, Biking Minneapolis, biking Minnesota, biking St Paul, commuting by bike, fun bike picture, Minnesota Bike Guide, Minnesota bike maps, Mississippi National River and Recreation Area, Mississippi River Trail, MN trails on November 16, 2017 by Russ Lowthian. 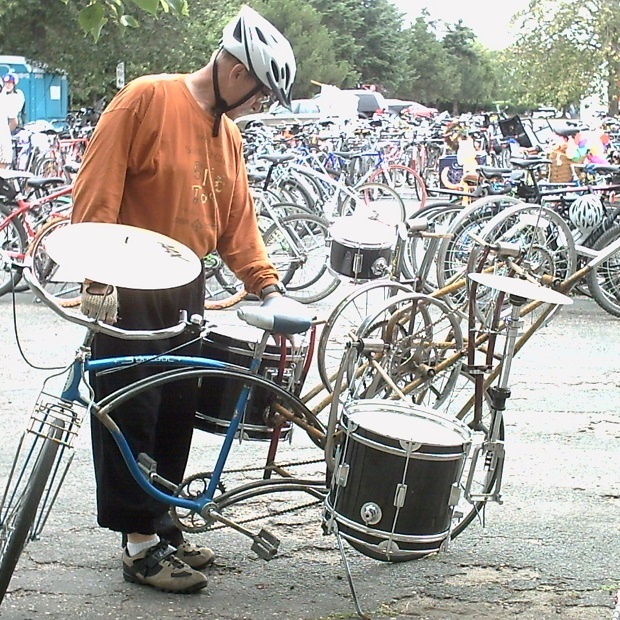 Here, in this photo, a cyclist checks his ride with a custom drum set mounted to the frame of his bike. 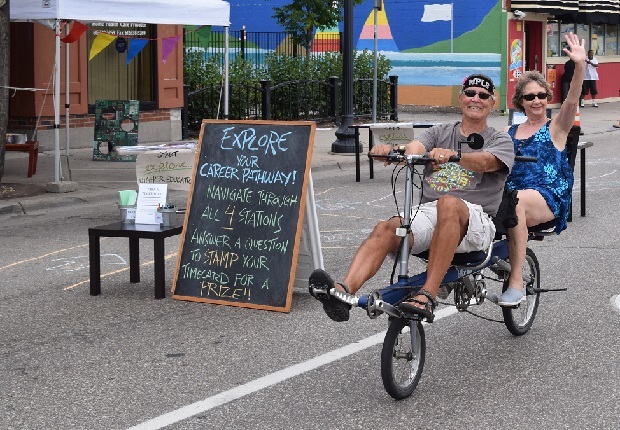 This HaveFunBiking photo was taken at a 2013 Open Streets Minneapolis event. This entry was posted in News and tagged #onlyinMN, Bike music, Biking Minneapolis, biking Minnesota, drumming cyclist on December 23, 2015 by Russ Lowthian.